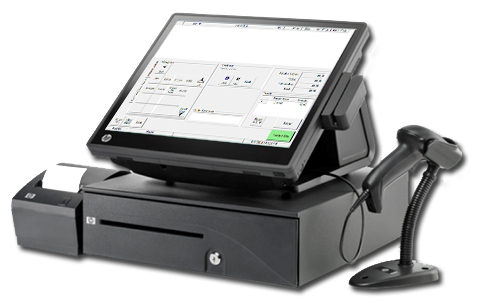 Cash Point of Sale is simple to use, easy to train, and fast order entry. This product supports a multi-user environment and allows quick customer look-up or walk-in customers. Cash Point of Sale can search for any item by item number or description, and allows touch screen, keyboard, or barcode scanner item entry. Cash Point of Sale is a seamless integration of counter sales, credit card processing, and your back office. 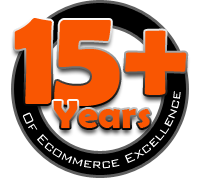 This product give you real-time access to all your customer’s information and pricing. Cash Point of Sale accepts cash, credit card, and on account payments. This product allows you to view real-time quantity on hand by location, it handles returns, and gift card capabilities. This system allows adding Order headers and line comments, along with register and end of day reporting. Supports touch screen monitor, barcode scanner, cash drawer, customer display, magnetic card reader, receipt printer, plus standard Keyboard and monitor PC. The Point of Sale will be structured to the needs of your business. 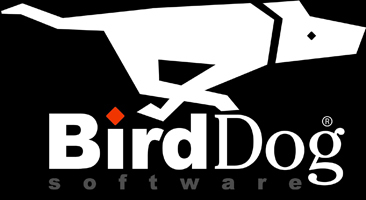 "BirdDog Cash Point of Sale has the fastest transaction time in Canada and has enabled us to leverage our Macola ERP with real-time efficiency and integration for our counter sales across our organization." Security Levels controls what a logged in user has access to on the system menu. Sometimes, you will need to track who did what. For accountability you want the text between the two "!". In this case "BIRDDOGPOS2-PC::1", this reveals the name of the drawer and the machine name upon which that drawer was opened. One uses the posorders and postenders table. Start up the program once more. Click maintain users. select the system user. click edit. click the drawer box such that it is checked. Click save. Click close. You're now ready to take orders. Click maintain drawers. > Create New drawer : add description and starting balance for this drawer. Click save, and save all changes. Fill in sales person number for this user. This number should match a sales person number from macola. Click which drawers this user will have access to. Add some categories under the POS category. Add some items to your categories. Run the install for BDCash. Make sure the .cfg file you have is in the directory with the BirdDogCash.exe file. Start up birddogcash, it should then come up with a settings screen where you should enter information appropriate to your setup as required. Under Interface|catalog , click select, a default category ID will appear. Select the receipt and report printer you wish to use. Click 'setup' the software will then continue, there will be a pause as the software updates your database with extra tables BDCash uses. The install package for BirdDogCash. Possibly a .zip file with the latest version of all the files needed for BDCash. A BirddogCashoptions.cfg file for your company. Things to determine before setting up BirdDog Cash. 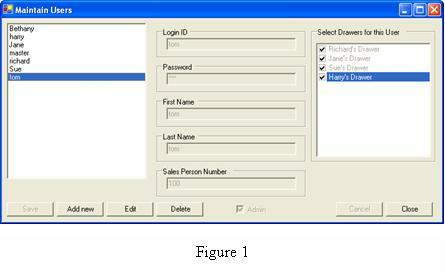 Database information: server name, database name, type of database, username/password if necessary. What Macola location will BDCash be using as its 'default' location? What Tax code will BDCash be using as its 'default' to calculate tax rates? What is the default ship via code for customers purchasing things with the POS. (A 'customer pickup' ship via). What Macola customer account is going to be used for the 'cash customer' (the default customer) in BDCash? Users are Created, Edited, or Deleted in the Maintain Users form. Logged in as an administrator, press the <System Menu> button, then in the Maintenance Box select the <Users> button to get the form seen in figure 1. Edit to assign the user password, sales person number from Macola, and the drawer(s) that the user is to be associated with. The number of drawers open is limited by the license count. To open a Drawer, the User must be set as an Administrator and has a drawer that is checked in user maintenance. If the logged in user is not an administrator he will not see the <Open Drawer> button. Note: If the <Open Drawer> button is grayed out, that means that there is no drawer available to that user. Either the logged in user does not have any access to an unopen drawer or there are no drawers available. Any user can close a drawer. On the system menu, just click the <Close Drawer> button. If the user is not an administrator, then they will not have an option to open a new drawer. Note: A drawer can only be closed on the machine it was opened. However, on the maintain drawers screen a drawer can be closed from any machine. 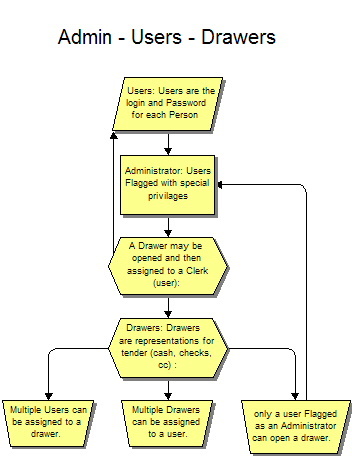 The maintain drawers screen only appears if the logged in user is an administrator. An administrator user will see the <Count Down Drawer> button available when logged in on the System Menu. When clicked it will list any drawers that need to be counted down and this can be done from any machine. Clicking on one of the listed drawers will begin the countdown process, when this is done, an administrator user will need to confirm with their username and password. That drawer is available. OPEN: An open drawer is one that is currently being used. Licensing limits the number of drawers open. When a drawer is open, it is open on that machine only. Another computer will not be able to use this drawer. CLOSED: A closed drawer is no longer being worked with, but still must be counted down. A closed drawer can be counted down from any machine. AVAILABLE: A drawer that is not being used and does not need to be counted down. If a user is assigned to that drawer, then he can use it. If an admin is assigned to that drawer, then he can open it. Why are no drawers available when ‘open drawers' is clicked? · Could be the user doesn't have access to any of the available drawers. This is but one example of how the system can work. In our example, the company Retail R Us has employees Tom and Bethany, who are Administrators, and Richard, Harry, Jane and Sue will run the registers. RRU has three computers, but they are only using two at a time. Our morning begins with Tom getting Richard and Harry their physical drawers with their starting cash of $200 in each drawer. Tom, the administrator, goes to computer#1 and logs into BDCash. 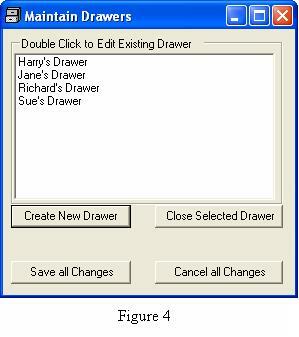 He selects the <Open Drawer> button and selects the drawer named ‘richard's drawer' as it's the one he always uses. 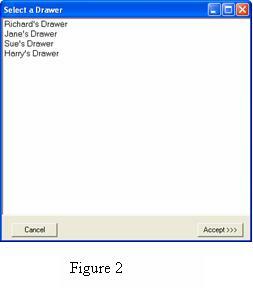 Note: Tom sees all the drawers; This is illustrated in Tom's and Richard's User Maintenance, see figures 1 and 2, he is an administrator, and all the drawers have been selected as available to Tom, thus when he selects <Open Drawer> he see all the drawers. Tom now logs off BDCash, Richard logs in and closes the system screen and he's ready to take orders. You can see on the figure 3 how Richard only has access to his own drawer. Tom now goes over to computer #2 and logs into BDCash. When he click ‘open drawer', he will no longer see ‘richard's drawer' as a drawer he can open. He select ‘Harry's drawer' then he logs out. Harry then logs in, clicks close this screen on the system menu and begins his business. At 2pm, Jane and Sue come in to work, and Bethany the evening manager. RRU is only licensed for 2 drawer open at one time. If Bethany tries to open a drawer on computer #3 for Jane or Sue, BDCash won't allow it, because Richard and Harry have their drawers open. Bethany gets Jane her physical drawer, with her starting $200 in cash. Bethany then tells Richard to close his drawer. On computer #1, he goes to the system menu and clicks close drawer. That's all he has to do to BDCash. He then pulls his physical drawer out of the register and takes it the back room. Bethany, on computer #3 then immediately, clicks open drawer and selects jane's drawer, only it and sue's drawer are left available. Only 2 drawers are open. 1 is closed. IF harry's computer blew up before he could close the drawer, an administrator could close the drawer on the maintain drawers screen. (figure 4, close selected drawer). This could be done from any computer on the network, whereas normally, you can only close a drawer on the computer in which it was opened. Bethany, on computer #1, clicks open drawer, revealing the only drawer left at this time, Sue's drawer. She logs off and Sue begins work. Tom, in the back office now clicks <Count Down Drawer> on the back room computer. There are two drawers required to be counted down, Harry's and Richard's. That is performed and money taken out of the drawer so they are both back to their $200starting balance. Jane is on computer #3 and Sue is on computer #1. IF they had licensing for 3 open drawers, Bethany could then go to computer #2 and open drawer and see Richard's and Harry's drawer are now available to be used. At the end of the day, Bethany has Jane and Sue close their drawer, and then she goes in back and counts down those drawers, as they are now on the list of drawers to be counted down. When there are no drawers open. The close day option becomes available. Bethany does this. A summary report is printed of the days activities, but no other work is required in BDCash with that process. The close day procedure is just resetting various counters in the system.